From the vertiginous vistas of Rocky Mountain National Park to the gentle sweeps of Great Sand Dunes National Park and Preserve, Colorado is known for its dazzling terrain. Unfortunately, nothing ruins a great panorama like a soggy PB&J and stale bag of road-trip potato chips. 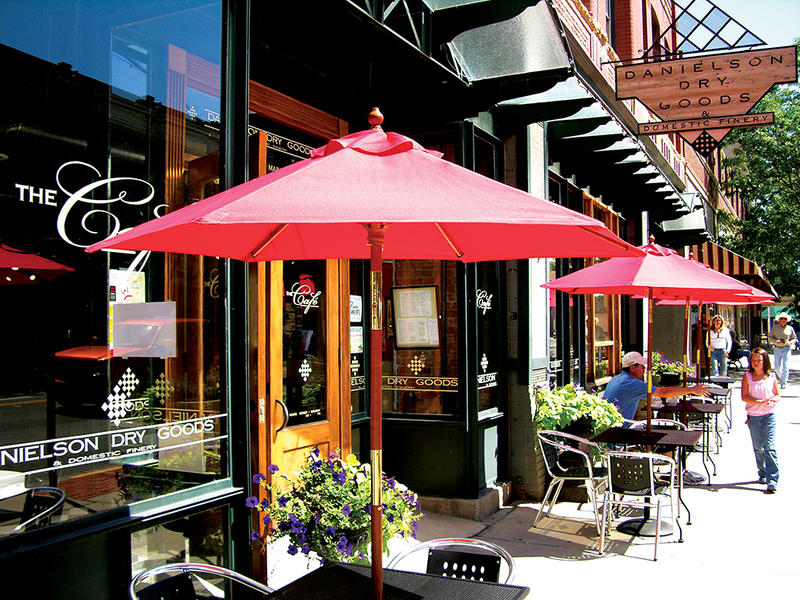 That’s why we’re sharing a few of our top picks for scenic outdoor dining in Colorado. Bring your camera and your appetite! This Denver hot spot has a serious cool factor. Not only can you eat on the roof of what was once the historic Olinger Mortuary while eyeing the Denver skyline, but there’s also a 1975 RV parked on the roof that serves as the outdoor dining bar. You’ll also have a front-row view of Little Man Ice Cream next door, hint hint. The name really says it all here. 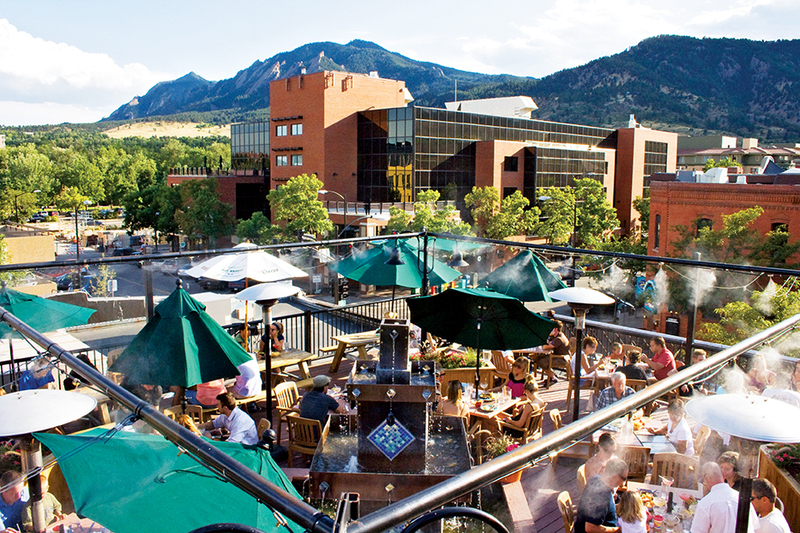 Grab a seat on the outdoor terrace for big mountain views of nearby Pikes Peak and Cheyenne Mountain. The restaurant’s signature “Colorado fusion” is a blend of southern Colorado flavors and global cuisine. Located about 23 miles west of Fort Collins, the Mish has been a beloved Colorado music venue for nearly 100 years. But even if you can’t make it to a show, it’s worth a stop for burgers and beer on the amphitheater’s outdoor deck, which sits above the Poudre River. Keep your eyes peeled for bighorn sheep, elk and even bears on the hillside across the water. This top-rated restaurant is a favorite with locals and visitors alike. With its gorgeous views, twinkling lights, lush greenery, farm-to-table menu and superb wine list, you’re sure to find romance in the mountains on the heated and covered rooftop patio (key for the mountain town’s cool nights). Colorado has a thing for craft beers, so we had to include at least one brewery on our list! 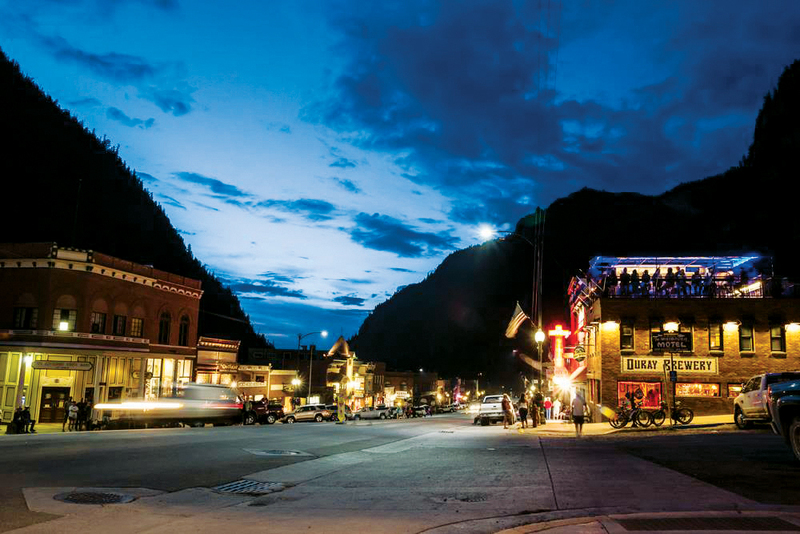 Snag a seat on Ouray’s rooftop patio, which overlooks the charming Main Street and offers stunning 360-views of the San Juans. Thirsty? Order a pint of their award-winning Camp Bird Blonde Ale. Nestled on the bank of the Arkansas River, the Boathouse Cantina’s open-air patio is the perfect spot to spend an afternoon snacking on Southwest-inspired organic eats while watching kayakers and stand-up paddle boarders making a splash in the river. The ultimate outdoor summer après? Larkspur’s patio in the Golden Peak ski area at Vail Resort is a great place to celebrate a day of hiking, biking or simply strolling around town. Owner and executive chef Thomas Salamunovich’s menu is both upscale and accessible, featuring gourmet sandwiches and pizzas. Leave room for the doughnuts. Trust us. For small-town charm, you can’t beat the sidewalk seating at The Café along Trinidad’s cobblestone, gallery-heavy Main Street. Sip some coffee or chai while catching sight of Simpson’s Rest, the square-topped bluff to the north of town. During your adventure to Mesa Verde National Park to admire some of the world’s most well-preserved Ancestral Puebloan cliff dwellings, stop at the café for their signature Navajo tacos — and to take in killer glimpses of the surrounding landscape from their terrace. Check out 5 Hidden Fine-Dining Gems, 10 Must-Eat Foods in Colorado, Colorado Food and Beer Pairings or view our complete listings for Colorado food and drink businesses. To find more scenic places in Colorado, read 99 Gorgeous Places in Colorado: Part 1, the Postcard Places; Part 2, The Locals Favorites and Part 3: The Hidden Gems.